If you are an entrepreneur, learning how to deliver an effective pitch is important when trying to receive outside funding from investors. Participating in business pitch competitions—take the Black Enterprise Elevator Pitch Competition, for example— is also an easy way to win free money and services, obtain exposure, and get investments from investors. When pitching, you typically have from one to five minutes to sell yourself and your company or idea to a panel of judges or investors. Immediately after your pitch, the judges or investors will ask a series of questions, usually on topics you didn’t have enough time to cover in your pitch but are essential to your business model or on information presented that may need clarification or additional information. Keep in mind that the question-and-answer part of this is just as important as the pitch. If you nail the pitch, but bomb the question-and-answer, you will have a hard time impressing the judges or investors. It is important that you are able to articulate to the panel of judges that you have a real and scalable business. You must also show that you understand and can execute your business model. Judges will want to know how scalable is your business, how you will make money, and how winning the competition or getting the investment help take your business to the next level. When pitching your idea or business you should be the subject matter expert for your industry.Â That includes knowing everything there is to know about your business.Â Think about it like this, the judges should not know more about your industry than you!Â Â Understand how big your market is.Â Is it a multimillion or even billion dollar market?Â How much money is generated in your industry?Â How much money can you potentially make?Â You should also know your competitors.Â Who are the major players in your space?Â What is your competitive advantage? An introduction: Who are you and who are your team members? Your business model: How you will make money? Customer acquisition: How are you going to acquire customers? Ask: How much money do you need, or what will you use the money for? Closing: Express why you are the one they need to invest in and how they can get in contact with you. And last, but certainly not least, you must be entertaining.Â No one wants to sit through a boring pitch!Â If you have some amazing new and hard to grasp technology or service, it is important that you are able to gain and keep the judges or investors attention.Â People want to be entertained. Connect with your audience, showcase your personality, invoke emotion, and get them excited about you and your company.Â Remember this, investors invest in people!Â If you have a mind-blowing business but appear to be hard to work with or unenthused, the judges or investors may decide not to put their money towards your company based on that alone. If you need help with delivering a winning pitch head over to www.glamuniversity.org and sign up for an online or in-person pitch class! You will learn how to deliver an effective pitch, how to craft the perfect elevator pith, and how to create a pitch deck, and how to win pitch competitions. Author Chanel Martin (@ChanelEbone) is a Co-Founder and Chief Operations Officer of Techturized (@Techturized) Inc. She is also a wife, new mom, and lover of all things hair. She works full time at Techturized. Techturized’s first product, Myavana (@Myavanahair) provides hair care personalization for female consumers around the world. Learn more at www.myavana.com. 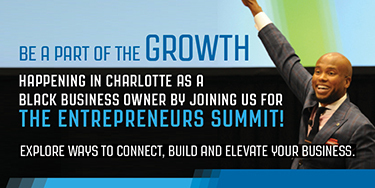 The 2015 Black Enterprise Entrepreneurs Summit hosted by Nationwide, May 13-16, 2015 at the Hyatt Regency Atlanta. Expect innovative sessions, high-powered speakers, and an early peek at the products, trends, and services you’ll need to stay ahead of the curve. Be sure to enter our Elevator Pitch Competition to qualify for the $10,000 grand prize. To register and find out more, visit www.blackenterprise.com/es/.Â Join us at the Entrepreneurs Summit, Where Innovation and Capital Meet.